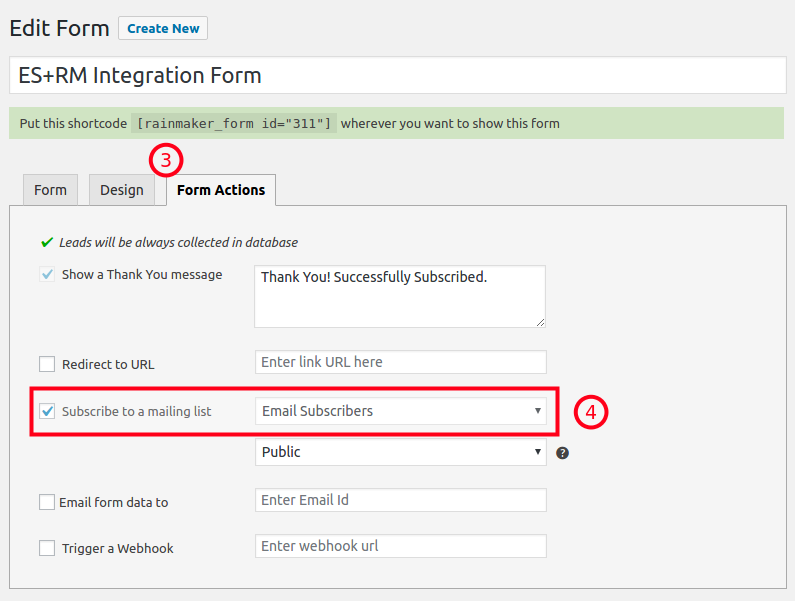 From Email Subscribers v3.1.4+, you can use Rainmaker’s form in Email Subscribers and send Subscribers to both – Email Subscribers & Rainmaker. 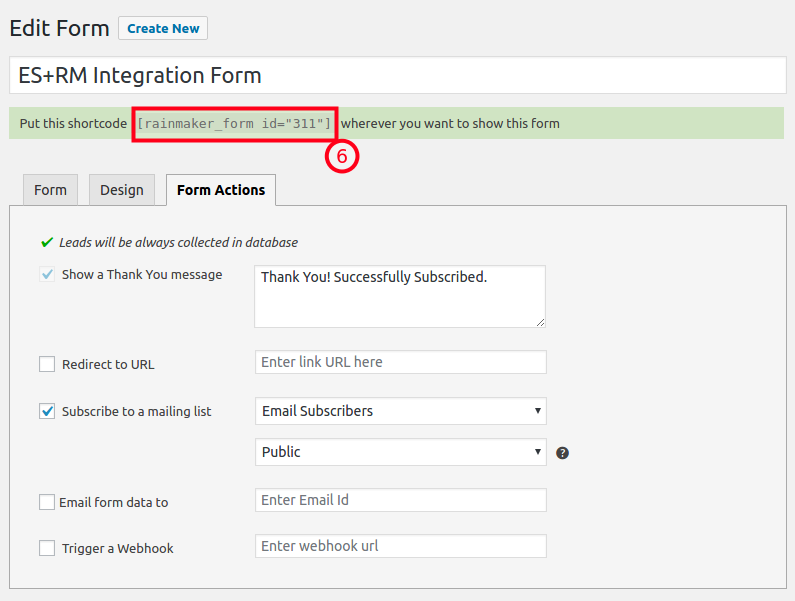 How to use Rainmaker’s form in Email Subscribers to collect Subscribers? Step 1 : Install & activate Rainmaker on your WordPress Website. Create a new Rainmaker Form. Choose form elements that you want to show. Different form styles gives you different layout i.e. form with or without placeholder. Additionally, you can also add some custom CSS in the block for that form. 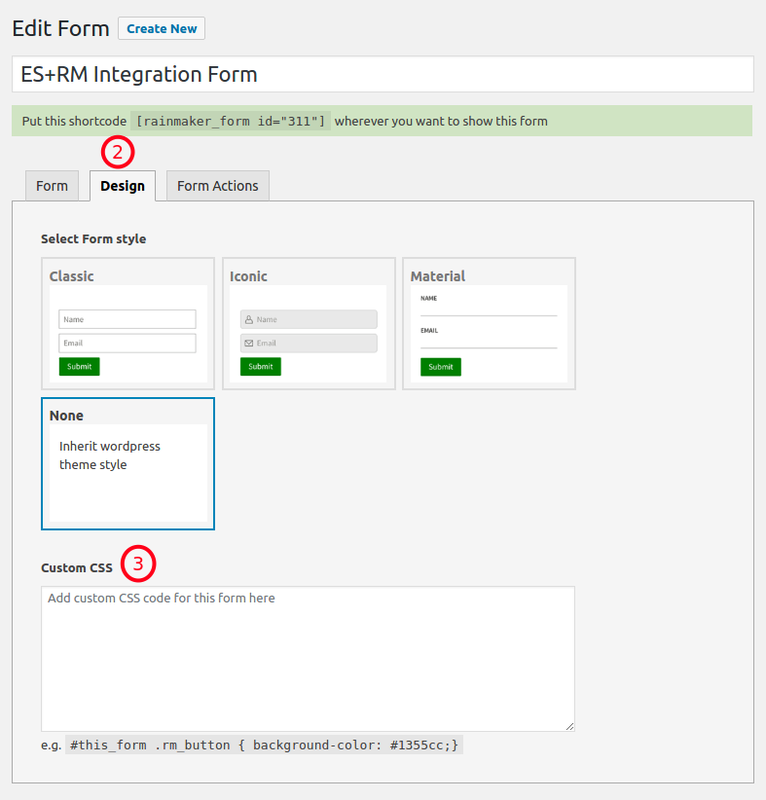 Step 3 : Select Form Actions i.e. connect with Email Subscribers. 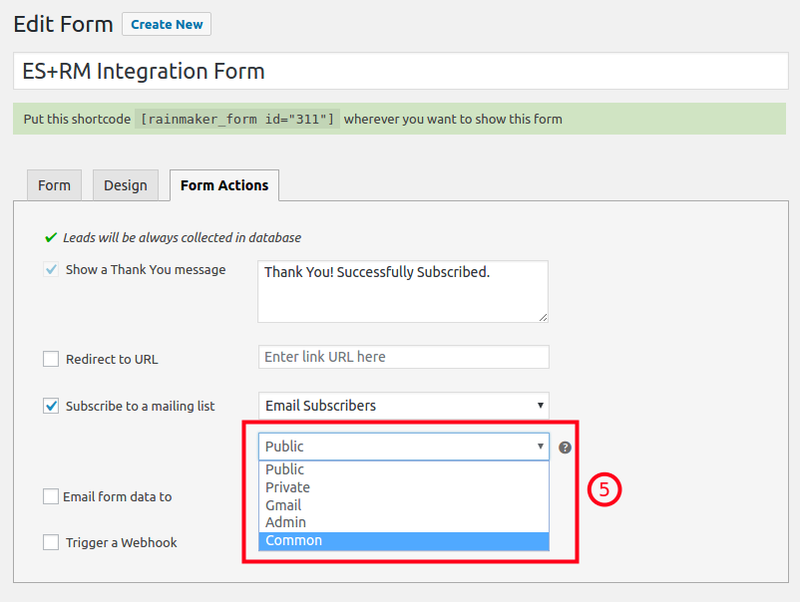 Make sure you check the checkbox ‘Subscribe to a mailing list‘ and then select Email Subscribers from the dropdown. 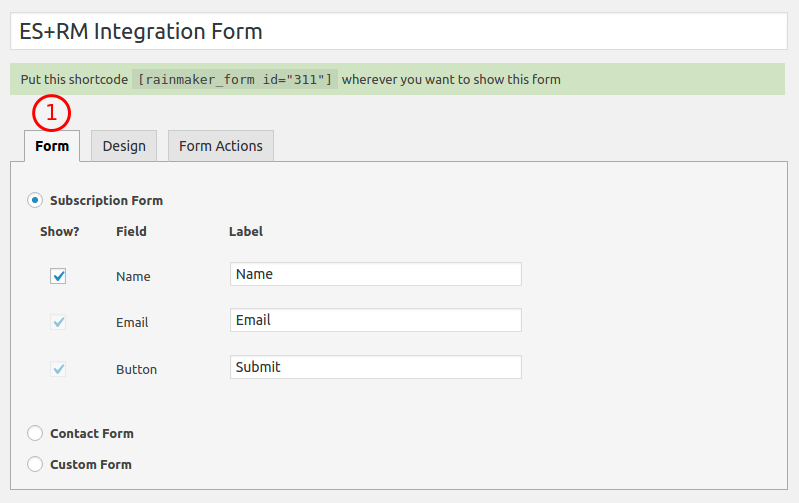 Step 6 : Copy the Rainmaker form shortcode generated after saving the form. Paste it anywhere to show the form i.e. basically paste shortcode anywhere you want to show the form.